German Chancellor Angela Merkel arrived in Nigeria. 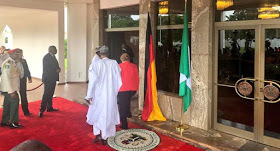 Shortly after her arrival, Merkel was received by President Muhammadu Buhari at Villa Aso in Abuja, the capital of the country. According to the presidency, President Buhari and the German leader will participate in a business round table soon after. 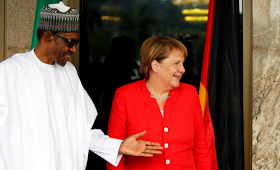 Merkel is accompanied to Nigeria by a German trade delegation. 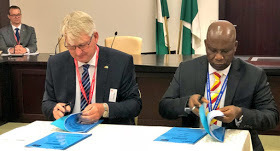 The German team met with the Nigerian delegation led by the Minister of Industry, Trade and Investment, Dr. Okechukwu Enelamah.